Samsung seems to have a habbit of taking a market, and a tried and tested successful product, and absolutely flooding every variant it can think of out to the consumer. There’s no wonder why it is the biggest smartphone seller in the world. Their successful Galaxy series as seen every variant of mobile phone and tablet I think Samsung can produce; we’ve got the 5-inch phones, there’s a note variation of that to bring a slightly bigger screen. Then there’s the 7-inch tablet lineup, and then the note variant of that too, then the 10-inch tablets. Oh, and don’t forgot the smartwatch! Continuing the trend. and their commitment to sell more tablets than ever in 2014, Samsung have announced the Galaxy Tab 3 Lite (7″) version. It’s being marketed at the lower price-point in order to detract away from what Samsung consider their rest of their devices are being aimed at – the higher price-point. The Tab3 Lite sports a 7-inch (1024 x 600) display (169 ppi), a 1.2GHz dual-core processor, 1GB of RAM, 8GB of internal storage, microSD slot for expanded storage, 2-Megapixel rear camera, and a 3.600mAh battery for up to 8 hours of video playback. It will come with Android 4.2 and bundled with Samsung’s TouchWiz software. The Galaxy Tab3 Lite (7”) sports a slim, light-weight design with a more compact bezel that makes it comfortable to carry around in one hand. The device’s large 3,600mAh battery maximizes portability so that users can enjoy up to eight hours of video playback without the need for an adapter. 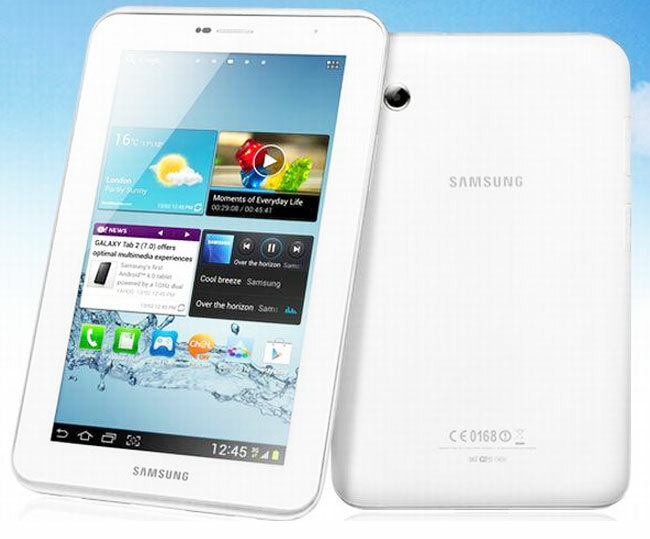 The Samsung Galaxy Tab 3 Lite (7″) will be offered in both a Wi-Fi-only version (SM-T110) and a 3G/Wi-Fi version (SM-T111), although pricing for the device is yet to be announced. Plugging the lower price point has given Samsung a whole range of devices for consumers to chose from, right from the lower end of the scale right up to the Galaxy S4. It appears now more than ever that Samsung feel they are on to a winner with their Galaxy product series, and have Apple’s iPad and iPhone in their crosshairs.